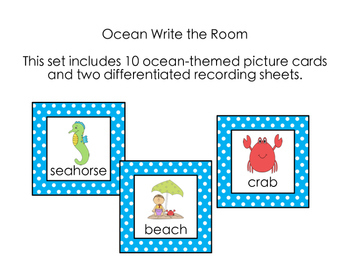 This set includes 10 ocean themed cards and two different recording sheets. 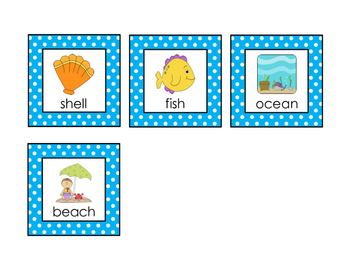 When the children find a card in the room, they will use one of two recording sheets to write the word beside the picture. 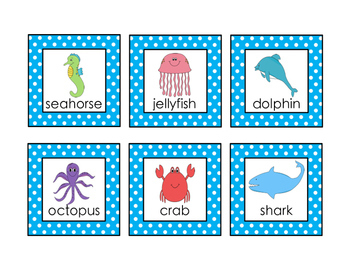 Excellent activity to get students up and moving while working on reading, printing, and vocabulary. 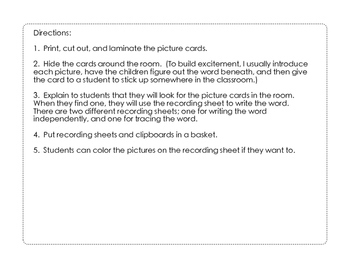 Students can also color in the pictures on their recording sheets if they want.